Some days with snow - some days without. The winterlight as the sun is setting and the moon rising. 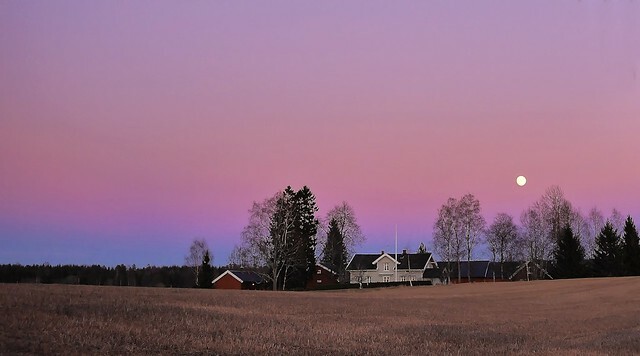 A farm outside the village Ski close to Oslo, Norway.